SkinViva Training’s Lip Enhancement course will train you in all aspects of this advanced procedure and covers how to ensure a comfortable treatment for your patient. Trainees are provided with a certificate of attendance. 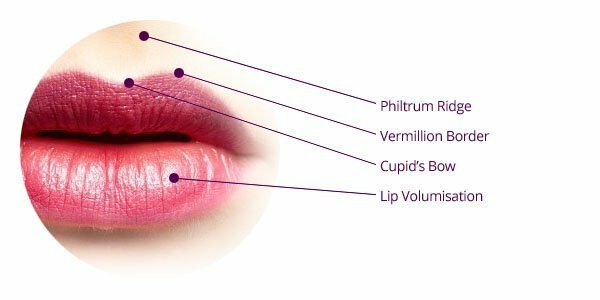 Establish confidence through practical experience and live demonstration for a complete lip enhancement procedure including Vermillion Border, Lip Volumisation, Cupid’s Bow and the Philtrum. Provide refresher knowledge of facial anatomy with specific focus on the lips and facial nerves. 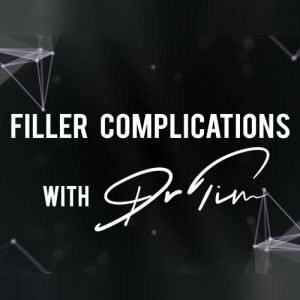 Highlight differences between the various brands of dermal fillers on the market that can be used for lip augmentation. Trainees learn how to give patients a natural looking result that provides an essential balance between delivering volume/fullness of lips whilst enhancing the lips’ natural contours and shape. Trainees attending this course can expect to leave being confident with the Juvederm Ultra range of products, and the required consultation and treatment techniques for lip enhancement, lip revitalisation and lip augmentation procedures. High model to delegate ratio – expertly supervised practical experience with real patients. Products, models and lunch all provided. This course has been specifically designed to develop a more advanced practical and theoretical knowledge of this complex and artistic treatment. Previous attendance on SkinViva Training’s Combined Botox & Dermal Filler course is not required, however is recommended in order to provide the core building blocks of experience in carrying out Dermal Filler procedures. Alternatively, trainees should ensure a minimum of 2-3 months’ carrying out basic Dermal Filler procedures prior to attending this course. I chose SkinViva for my lip course because it is a a one-to-one session where you get to perform the whole procedure from consultation to injection to after care advise yourself under the supervision of (in my case) Dr Tim Pearce himself. Dr Pearce made me feel very relaxed and answered all the questions I had, his understanding of patient expectations and technical knowledge really impressed me and I would highly recommend this masterclass course on lip enhancement. Thanks to this masterclass I now feel confident in providing non surgical lip enhancement. I must also mention the beautiful environment in which the training is conducted in! Finally, I would recommend the start-up kit they offer, as it essentially has almost everything you need to get started. Attended the Lips Master Class today with Sharan. Thoroughly enjoyed it. Loved the fact that the technique demonstrated was such a well structured approach that could be broken down to suit each individual client’s needs. Sharan was an excellent teacher, very patient and clearly very talented. I would highly recommend the course. Now I look forward to finding some lips!!! Our training courses are all held at our training school in Central Manchester. It is very accessible for train/car and we have delegates visiting us from around the UK (and even overseas). Hi, SkinViva Training offer courses for qualified medical professionals who meet our specified entry requirements. Please see our Entry Requirements FAQ. Please feel free to get in touch with our expert team if you want to check anything once you’ve read this. You can call us on 0161 850 2491 or email info@skinvivatraining.com. I’m a registered midwife, could you tell me how much the botox and fillers course is please? Also do you have to do this course before starting the lip enhancement course? Hi, the Foundation BOTOX® & Dermal Fillers course is £995 for weekday dates and £1,095 for Saturday/Sunday. It is not compulsory to do this before a lip enhancement course, but most of our delegates start here. Some delegates do have prior experience in injecting, facial anatomy etc, and can progress straight to the lip fillers course. If you’d like to discuss this, please contact our team on tel 0161 850 2491 or via email info@skinvivatraining.com and we’ll be happy to advise. Do you only train registered doctors and nurses? I am a nurse and wanting to train with yourselves. Hi, we train qualified medical professionals from a set list which is at the time of writing is Doctors, Dentists, Nurses (prescribing and non-prescribing), Midwives, Paramedics, Dental Therapists, Dental Hygienists, Prescribing Pharmacists, Non-Prescribing Pharmacists with experience of injecting people e.g. vaccinations. Delegates must have active membership with a relevant professional body e.g. GMC/GDC/NMC/HCPC. The page on Entry Requirements FAQ is kept up to date. Our eligibility requirements are based on insurance requirements. So if you are a qualified nurse with current PIN number, that will be fine; but if you wish to discuss your qualifications or our courses in more detail, please feel free to contact us on 0161 850 2491 or via email info@skinvivatraining.com for further advice. Hi, I’m wanting to do lip filler course. How much is it pls? Hi, the lip enhancement course is £895, but delegates generally start with the Foundation BOTOX® and Dermal Fillers Course first, as this gives a grounding in injecting skills. This course is £995. You might also consider the Lip & Cheek Enhancement which is £1,095. You can find dates, availability and prices of forthcoming courses here https://www.skinvivatraining.com/training-courses/upcoming/.